Experts are predicting a slightly above average amount of rainfall in Southern California in January, which means less watering and more growing for winter gardens. 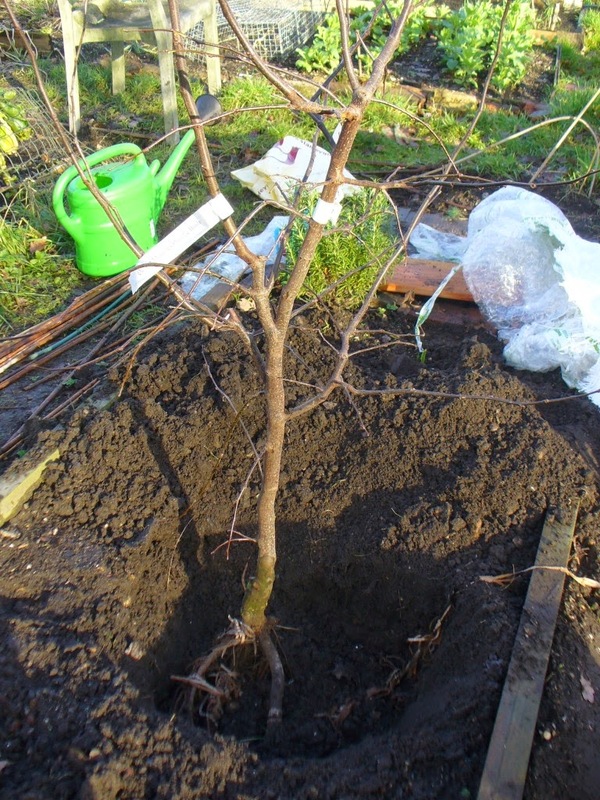 Plant bare root fruit trees: Bare root fruit and nut trees are in abundance at local nurseries in winter. Now is the time to plant these trees while they are in a dormant phase. Plant apricot, plum, apple, pear and peach trees, and all types of rose bushes. As a rule of thumb, you should dig a hole to plant your tree that is twice as wide but no deeper than the root ball. Add organic compost planting mix to the soil that came out of the hole (follow directions on the label for amount of each) to increase soil aeration and to keep in moisture. Make sure the top two inches of soil remains moist. It's Pruning Season: Now is the time to prune your trees and shrubs—while growth has slowed or even stopped. Some new buds sprout in winter so be careful not to trim those. Rose bushes should get a significant trimming—as much as eight inches. Pruning in winter stimulates healthy growth in spring. Divide and Replant Perennials: Perennial plants are looking a little raggedy in winter. It is good motivation to remove portions of these plants and replant them. The existing plants will grow stronger and fuller while the newly planted portions will quickly take root. Plants that can be divided include chrysanthemums, Shasta, African and English daisies, delphiniums, dianthus, statice and violets. Protect Plants From Frost: Many parts of Southern California can experience below freezing temperatures in January. Freezing temperatures are most common on dry, windless and cloud-free nights. To help prevent frost damage, keep the soil around plants moist. Container plants should be moved near walls to absorb radiant heat left over from a sunny day. If frost damage does occur, do not remove dead leaves. These leaves will protect the tree from further damage. Wait until new growth begins before removing any dead vegetation. Add Soil Amendments: Apply a layer of soil amendment on the surface of your garden. Rain and the natural decaying process will gradually introduce the amendments into the soil, creating a nutrient-rich environment that will help when planting in spring. Care For Poinsettias: Most people think that once the holidays are over, poinsettias are over as well. With watering, poinsettias will remain healthy into March. Once the leaves begin to droop, cut back the stems so they are no more than eight inches in length. By June, new growth will begin. Keep the plant indoors in indirect, natural sunlight and the soil moderately moist. When the weather warms, bring the plant outside. Prune as needed so the plant is bushy. Flowers will begin to grow in October and reach their peak in November and December.